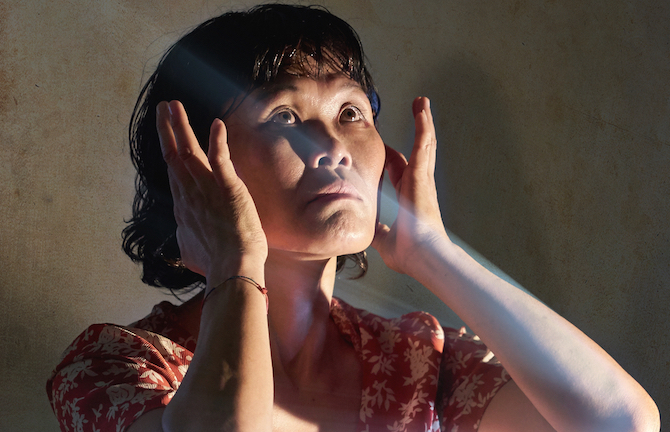 Born in Hyogo, Japan, Yumi Umiumare is an established Butoh dancer and choreographer—Butoh is a unique form of Japanese dance theatre known for its diversity. She has been creating her distinctive style of works over the last twenty years, works renowned for provoking visceral emotions and cultural identities. Her works have been seen at numerous festivals in dance and theatre, as well as in film productions throughout Australia, Japan, Europe, New Zealand, South East Asia and South America, and have received critical acclaim and several Australian Green Room awards. As a choreographer, Yumi has worked with many socially engaged theatre projects in Australia with Aboriginal communities, refugees and culturally diverse people. Yumi is a recipient of a fellowship from the Australian Council, in which she explores her pop–up tearoom series.